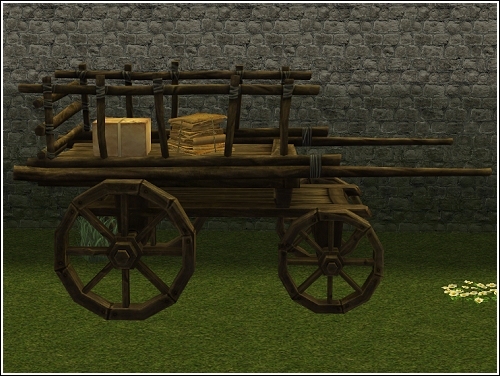 Peasant wagon (1673 Faces), Parsimonious Parcel, and Parchment Collection. 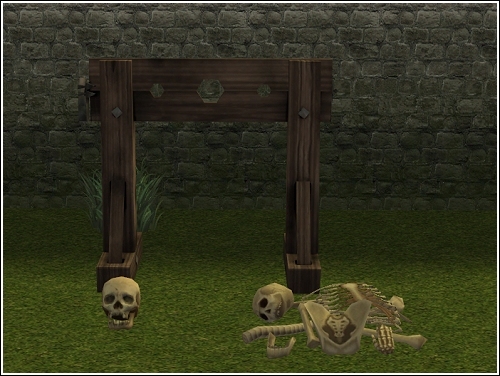 Deco Stocks, Skull and Pile of bones. 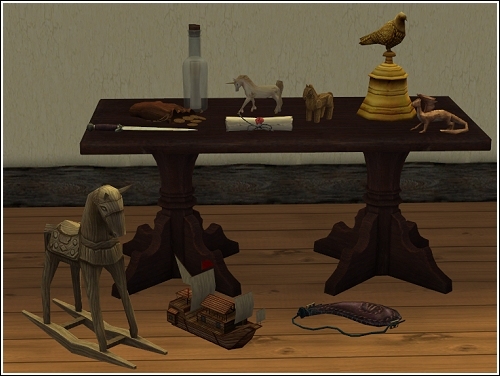 Dagger, Money Pouch, Message in a Bottle, Toy Unicorn, Sealed Letter, Carved Horse, Hand Bell, Toy Dragon, Toy Rocking Horse, Toy Boat, and a Wine Skin. 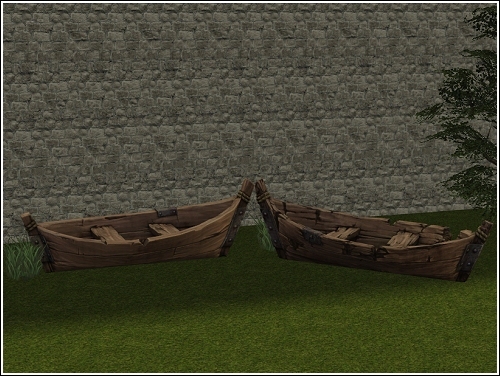 Boat (1589 Faces) and a Broken Boat (1886 Faces). 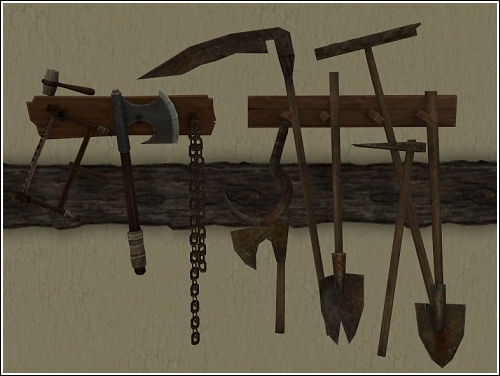 Blacksmith tools (part one) and Farm Tools. 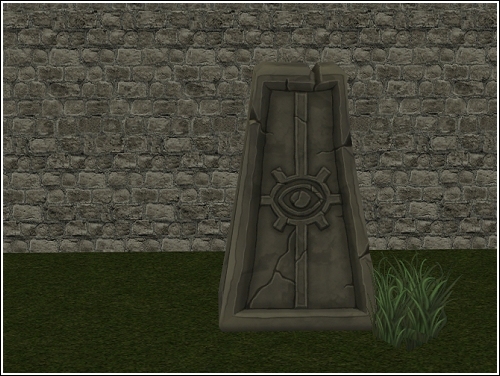 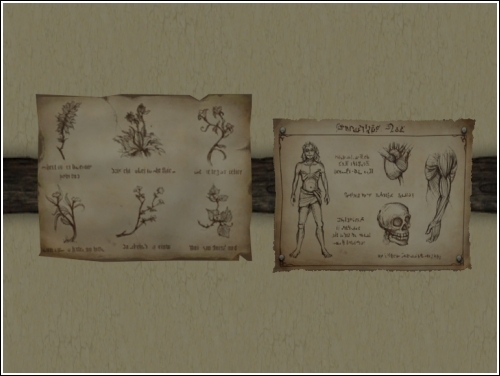 All items can be found under Wall Hangings. 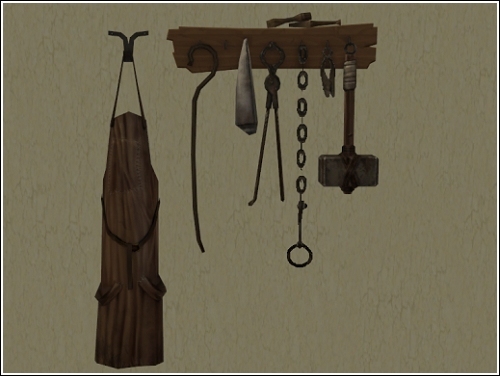 Blacksmith Apron and Tools (part two). 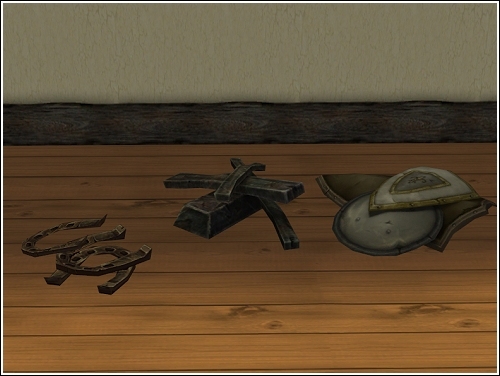 Horse Shoe Pile, Ingot Pile and a Pile of Shields.